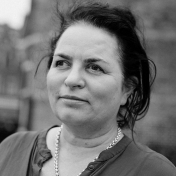 Marleen Stikker is managing director and co-founder of Waag Society, a Dutch Public Research foundation in the field of technology and society. Marleen also advises the European Commission policy strategy group. She has been actively supporting the democratisation of technology and maker culture with various initiatives since 1994, and is committed to open access to the internet and to transparency in dealing with data and algorithms.